Much of HS2 phase 2b could support intra-northern journeys like Sheffield to York. Politicians could just rebrand it as Northern Powerhouse Rail and still get capacity relief at key hubs, which is the main priority, according to rail editor Nick Kingsley. But how could there be ‘capacity relief at key hubs’? In phase 2b of HS2, high speed trains from London would run into the existing stations at Sheffield and York. For HS2 trains to run between the existing stations at Sheffield and York, they would have to use the existing two-track line through Meadowhall. Furthermore, to re-join the HS2 line, they would need a new junction, which is not included in the £55.7 billion HS2 budget. Following Eleni Courea’s Observer story about Northern MPs telling Labour leaders to change their mind on HS2, the shadow transport secretary Andy McDonald and the Greater Manchester mayor Andy Burnham both made statements repeating the party line (i.e., ‘We back HS2’, ‘We back Crossrail for the North / Northern powerhouse rail’, ‘It’s not a case of either or’). Labour politicians nowadays use the term ‘Crossrail for the North‘ instead of ‘Northern powerhouse rail’, because the term ‘Northern powerhouse’ is seen as being associated with George Osborne. However, Mr Burnham’s words were “The North needs HS2 and Northern Powerhouse Rail“. His statement also served as an inadvertent reminder of how much transport thinking and expenditure in the North is dominated by the wants of Manchester airport, over the needs of everywhere else. Even the city of Manchester itself is in thrall to ‘MAN’, as is plain to see from the design of the Ordsall chord, and the use of vast quantities of public cash to build a poorly designed tram line out to the airport. According to NCHSR lecturer Gareth Dennis, when Midlands Connect ‘do their work’ to allow a fast (up to 125mph [200 km/h]) shuttle between Derby, HS2 Toton, and Nottingham, the rail journey time between Birmingham and Nottingham will be 30 minutes, and places like Long Eaton and Beeston ‘will gain massively’ from ‘taking away fast services’. Eh? If Midlands Connect wanted a “125mph shuttle” between Toton and Nottingham, the chances are those shuttles would have have to go through Beeston station, etc, without stopping. 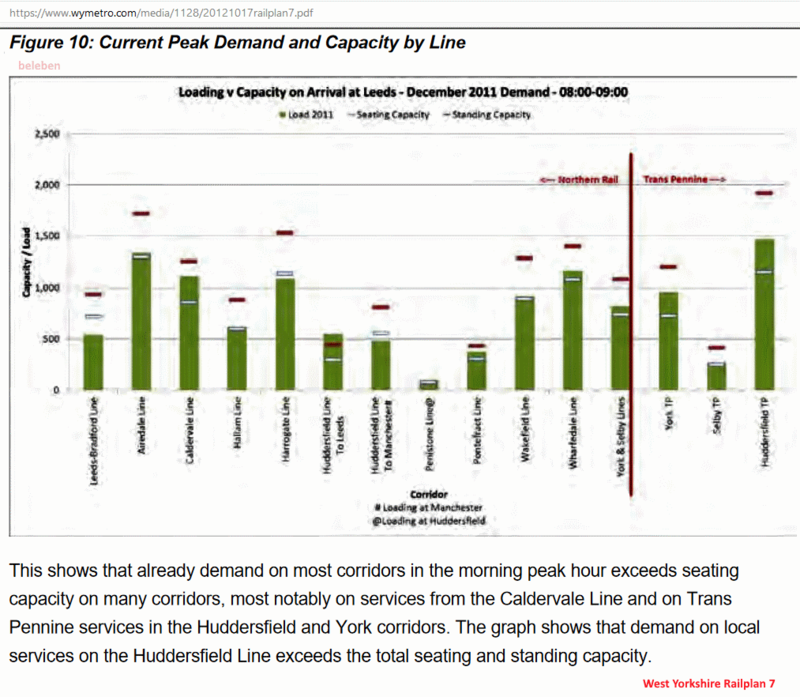 So much for, er, ‘taking away fast services’ and ‘freeing up capacity’. Several senior Labour MPs have told the Observer that the huge sum of money earmarked for the HS2 railway would be better spent on other schemes, the newspaper reported. Karl Turner, the shadow transport minister responsible for shipping, aviation and road safety, speaking in his capacity as MP for Hull East, said[…] “investing in existing rail networks in the region offers a better deal”. Ian Mearns, MP for Gateshead, said: “Twenty years ago, there was a train that travelled from Newcastle to London [along the east coast mainline] in 160 minutes. With HS2 we will be spending another £53bn 40 years later, and by going on that route people could gain just 20 minutes.” Mearns said that this showed HS2 was “little more than a vanity project”. Andy Burnham, the mayor of Greater Manchester, said in 2014 that HS2 represented a “poor deal for most of the region’s taxpayers”. Jo Platt, MP for Leigh, said that HS2 would run through her constituency “without offering any connectivity”, while Emma Hardy, MP for Hull West, said that Crossrail for the North would “make a huge difference, while being far less disruptive than HS2”. Meanwhile Sir Kevin Barron, the MP for Rother Valley, who has supported the project thus far, said that he was being forced to rethink because of plans to build the eastern leg of HS2 along the M18 motorway. “It is the most senseless thing I’ve ever seen,” Barron said. Terminating the HS2 scheme would not just benefit the north. The cancellation dividend would allow a wide range of infrastructure improvements across the country, such as electrification of the Great Western main line from Newbury to Plymouth, an RER-type system for Birmingham, and step-free access for a vastly increased number of stations nationwide. According to a September 2018 poll by ComRes, three in five British adults think that HS2 is poor value for money, and 85% think the money should be spent on improving the capacity of existing railways instead of building it. The Chapel of Our Lady stands at the middle of the medieval bridge that served as the main road into the town until the start of the twentieth century. Masborough was the main railway station for Rotherham from 1840 up to 1987, when most trains were re-routed via the reactivated Rotherham Central. From Masborough to the town centre directly is a ~20 minute walk. In January 2018 thirteen of the sixteen Ansaldo Midland Metro T69 trams were sold to Booth’s of Rotherham, for recycling. The launch of Britain’s first ‘trial’ tramtrain service, from Sheffield to Rotherham Parkgate, on 25 October 2018 was marred by a collision between a Stadler Supertram and a truck. Infrastructure is for the public, not engineers. But “the public” don’t know what’s best for them, as evidenced by their rejection of an ‘Ashford parkway’ high speed station, their dislike of HS2, and their support for rail renationalisation (apparently). “Infrastructure is not for engineers. It’s by engineers, for the public,” he explains. The public pays for the projects, he adds, but generally speaking “they’re not treated as seriously as a stakeholder or the rest of the industry”. This failure to earn public buy-in on projects must be addressed, he argues, which in turn would make politicians’ lives easier. [JA:] “It shouldn’t be the government ministers, it should be the profession, it should be the industry. Engineers should accept this is very much part of their role, to get out there and not hide behind their computer,” he says. Armitt also suggests there should be a change in approach when it comes to city centre regeneration. Citing the example of the redeveloped Birmingham New Street Station, he asks whether the money would have been better placed being put into a new station on the edge of the city. He experienced this first hand with High Speed 1, when local people called for a train station in central Ashford through which the Eurostar would pass, as opposed to one on the outskirts. “Fine, that’s what they got. But it added several hundred million pounds to the cost of the project,” he says. Mr Armitt was engaged by the Labour party to conduct an ‘infrastructure review‘, but disagrees with its flagship policy of rail renationalisation (which is supported, it seems, by a majority of Conservative voters). The Labour party has been clear of its intentions to nationalise rail, water and parts of the energy sector. Armitt, who is speaking more in a personal capacity, is sceptical about taking these industries back into public ownership. The first challenge, he says, is finding the money to “pay a fair price”. Despite changing ownership, the “people running those businesses are essentially going to be the same”, he says. “Again, I think the issue here is we’re more than happy to trust Marks and Spencer and Safeway and Tesco with the provision of the thing most fundamental to us, which is food. Why can’t we create an environment in which we’re equally trusting of private sector companies to provide us with those key utilities?” he asks.